Redesigned in 2017 to be Mobile-Friendly, secure and remain focused on getting a web presence & providing information on available classes. 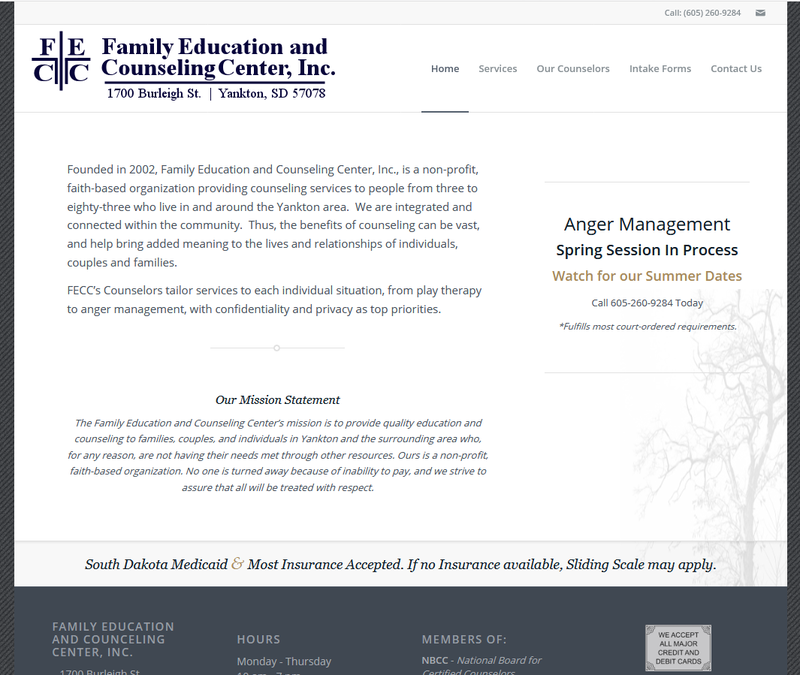 Founded in 2002, Family Education and Counseling Center, Inc., is a non-profit, faith-based organization providing counseling services in and around the Yankton community. They choose Heartland Internet Solutions to give them their first web presence so that they could show the community that the benefits of counseling can be vast. Their first website was a HTML based website, focusing on getting a web presence & providing information on available classes. In 2017 a redesign was in order. Heartland Internet Solutions upgraded them to a mobile-friendly responsive site, and kept the information that was needed, only shown in an updated way. Thank you Pastor Rodney and Rebecca for choosing Heartland! Keep potential clients in the loop on when new meetings are held. Let clients know they will work with you! Yankton Motor Company New Trails Ministry, Inc.